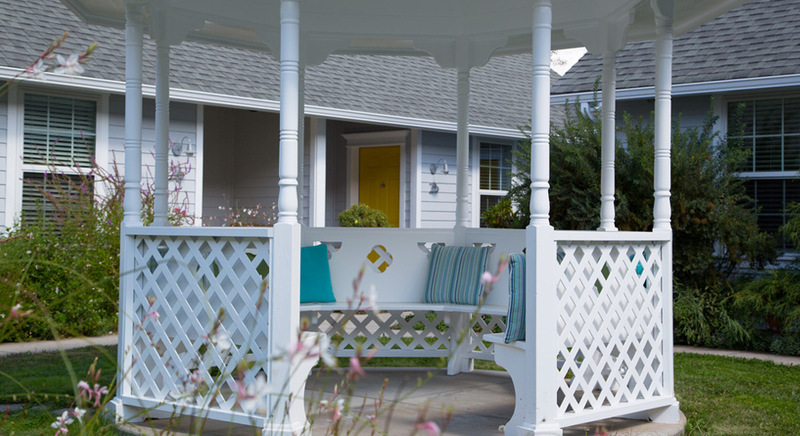 Recently updated, the Patio Bungalows are first floor units connected to one other adjacent unit. Lounge on the patio and entice your senses with gentle breezes of lavender and honeysuckle. 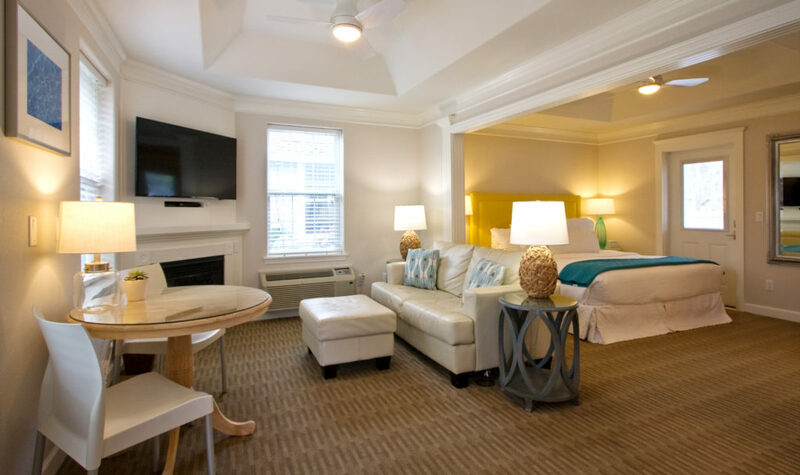 Inside the room you will find a two-person soaking tub fed with mineral spring water in the living room, along with a sitting area with fireplace, flat screen TV with DVD player, table and chairs, and small loveseat. 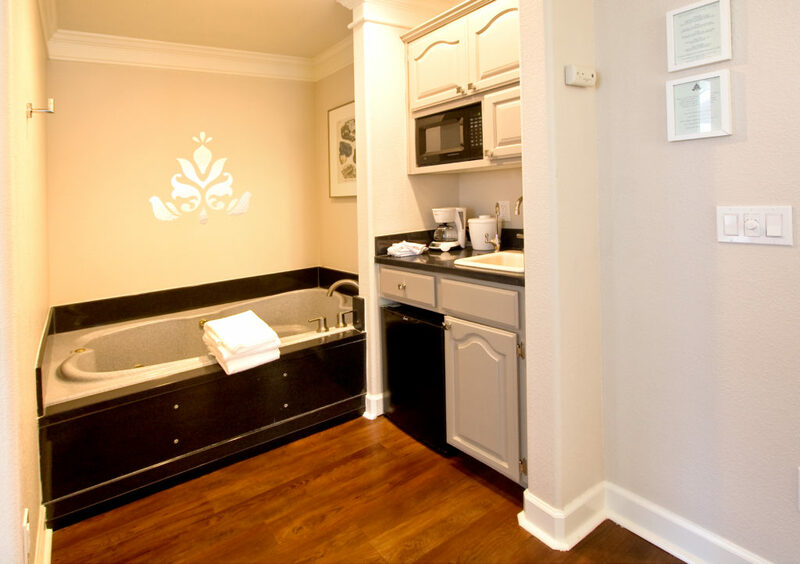 The kitchenette features a wet-bar sink, mini fridge, microwave, and coffee maker with complimentary coffee. 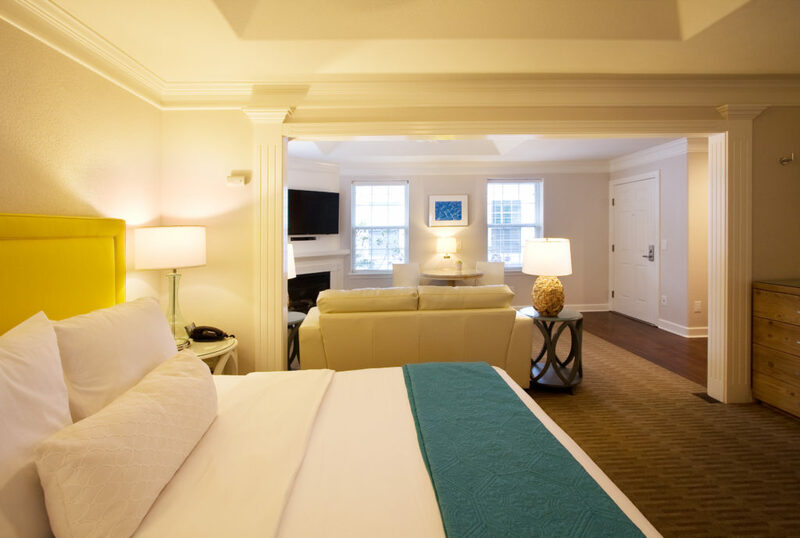 Fall into comfort in the King-size pillow top bed, while enjoying the Wi-Fi throughout. 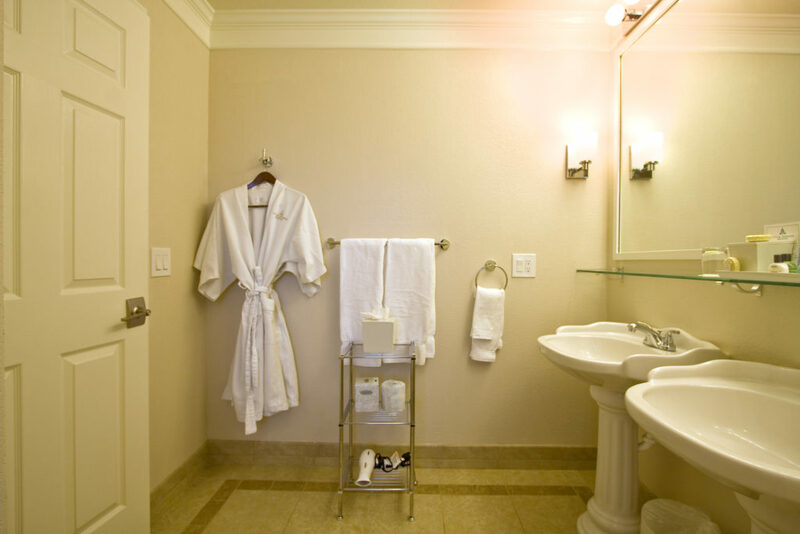 Separate bathroom with a walk-in shower, hairdryer, iron, ironing board and A/C are also provided. 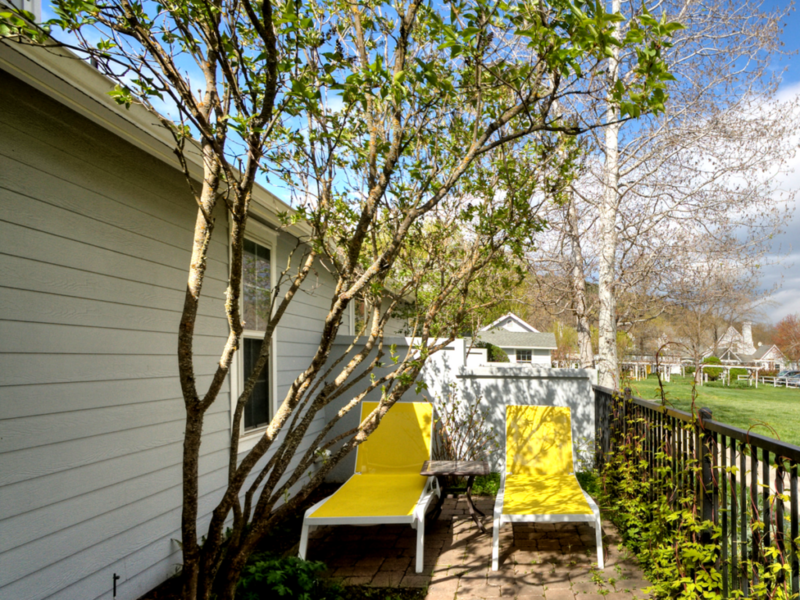 The Patio Bungalows come in both an open and closed style floor plan. Call our front desk for more information if desired.